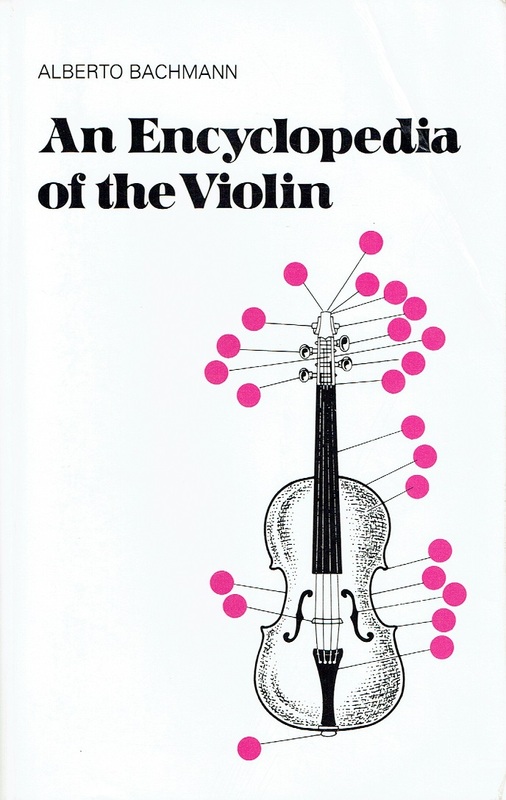 "This encyclopedia is the diverse lexicographic work available in the English language and provides a treasure trove of information on the violin, its technique, its history, and its place in music. Beginning with the 1880s, the work traces the evolution of violin technique, examines its construction and manufacture, lists makers in America and Europe, offers a biographical section on chamber music ensembles with rare photographs, and presents a glossary of music and musical terms. 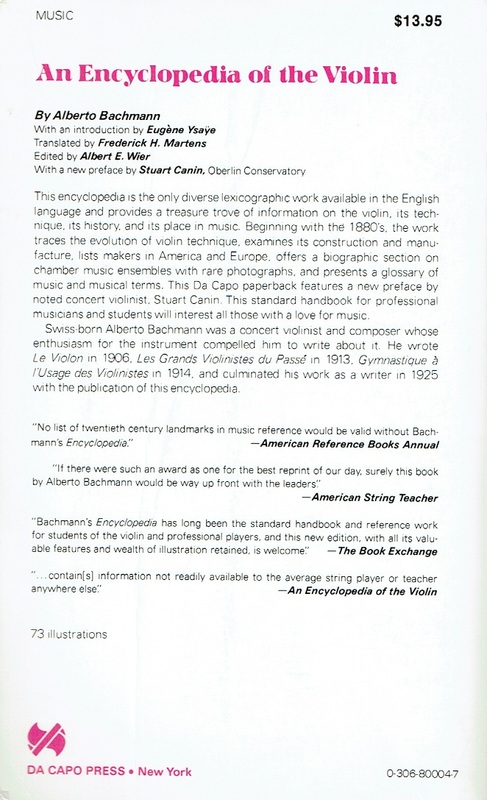 This Da Capo paperback features a new preface by noted concert violinist, Stuart Canin. This standard handbook for professional musicians and students will interest all those with a love for music."